Rent Inn At the Market | Corporate Events | Wedding Locations, Event Spaces and Party Venues. Recently renovated, Inn at the Market is the only downtown Seattle hotel located directly in the famous Pike Place Market. As the larger of our two meeting rooms, the Courtyard Room is often chosen for seminars, conferences, lecture-style meetings and larger receptions. Named the Courtyard Room for its view of the ivy lined interior courtyard of the Inn, this meeting room located in downtown Seattle feels like a secluded get away in the city. 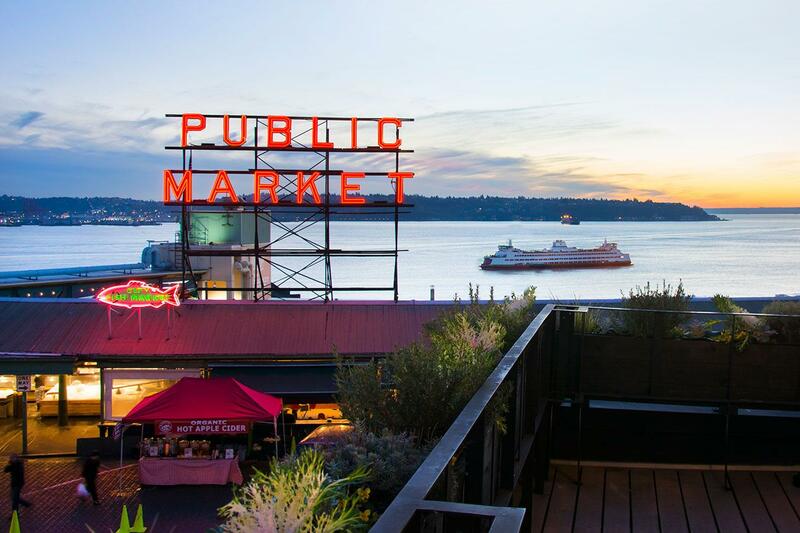 Just a few short steps outside, the bustling Pike Place Market serves as inspiration and excitement for your event. With full audio visual and technical capabilities, this room is perfect for a variety of events. Beecher's is located in Post Alley, adjacent to the hotel, and perched above the Market. The Loft enjoys a western exposure, featuring floor-to-ceiling windows and sophisticated interiors	that blend harmoniously - exposed beams, iron rusted counters, and warm wood floors balance the custom furnishings, hand-tufted rugs, and original artwork.